Nearly a week after the European elections, the reverberations are still shaking the entire continent, on at least two levels — the consequences of the historic level of eurosceptic parties elected across Europe and in terms of the growing battle between the European Parliament and the European Council over electing the next European Commission president. In the first part of a Suffragio series examining the results of the May 25 European parliamentary elections, I focused on the five most populous countries in the European Union: the United Kingdom and France, where eurosceptic parties won the greatest share of the vote; Germany, where chancellor Angela Merkel won another strong victory; Italy, where prime minister Matteo Renzi won a near-landslide mandate just three months into his premiership; and Spain, where both traditional parties lost support to a growing constellation of anti-austerity movements — so much so that Alfredo Pérez Rubalcaba, the leader of the Partido Socialista Obrero Español (PSOE, Spanish Socialist Workers’ Party), Spain’s traditional center-left party, resigned. In the second part, I examined the results in nine more countries — Poland, Romania, The Netherlands, Belgium, Greece, the Czech Republic, Portugal, Hungary and Sweden. 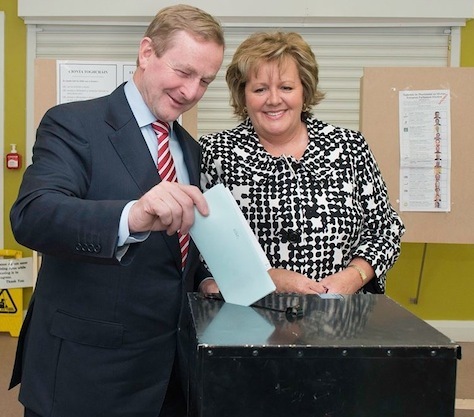 I can’t remember a time when there have been so many crucial world elections taking place at such a frenetic pace. The spring voting blitz began with a five-day period in early April that saw Afghanistan’s presidential election, Indonesia’s legislative elections, the beginning of India’s nine-phase, five-week parliamentary elections, Costa Rica’s presidential runoff and Québec’s provincial elections. Since then, India’s finished its voting and elected a new government led by Gujarat chief minister Narendra Modi. Macedonia, Algeria, Iraq, Panama, South Africa, and Malawi have held elections, too, over the past seven weeks. It all comes to a climax with five elections today — and another election that will take place over two days of voting on Monday and Tuesday. Though the disputed independence referenda in Ukraine’s troubled eastern oblasts attracted considerably more international attention, Lithuania also went to the polls on May 11 to elect a president. 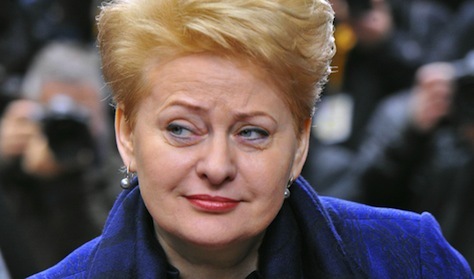 Dalia Grybauskaitė, the incumbent since 2009, easily led the first round with 46.61% of the vote, just shy of an outright victory, and she is almost certain to win reelection in the May 25 runoff against Zigmantas Balčytis, a member of the European Parliament, a former finance minister and, briefly for a month in 2006, acting prime minster. Balčytis is the candidate of the governing center-left Lietuvos socialdemokratų partija (LSDP, Social Democratic Party of Lithuania). The runoff will coincide with elections for the European Parliament, where Lithuania holds 11 of its 751 seats. Balčytis, a relatively uncharismatic candidate, won just 13.84% of the vote, however, only narrowly edging out Artūras Paulauskas, the candidate of the Darbo Partija (DP, Labour Party), who 12.20%. Grybauskaitė, who lists the late British prime minister Margaret Thatcher among her political heroes, has been dubbed, somewhat unimaginatively, as Lithuania’s ‘Iron Lady,’ after amassing one of the most prolific political careers of any figure in post-Soviet Lithuania. 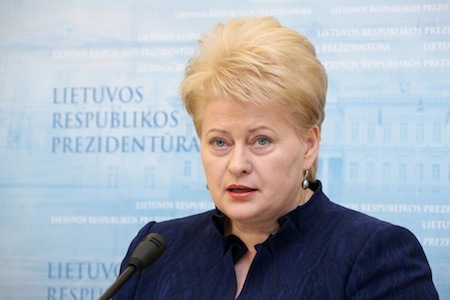 A former finance official, Grybauskaitė served as Lithuania’s representative to the European Commission between 2004 and 2009, for much of that time as the commissioner for financial planning and the budget. As commissioner, Grybauskaitė worked to reduce agricultural subsidies from the European budget and she was responsible for passing the first such budget that held funding for the Common Agricultural Policy to below 50% of European funds for the first time in European Union history. Lithuanian’s highly respected president, Dalia Grybauskaitė, has upended what everyone thought would be a broad leftist coalition following the second and final round of Lithuanian parliamentary elections on Sunday. Following a victory by the social democratic Lietuvos socialdemokratų partija (LSDP, Social Democratic Party of Lithuania), which won 38 seats after the first round on October 14 and October 28, it seemed likely that the Social Democrats would form the next government, a coalition headed by Social Democratic leader and former finance minister Algirdas Butkevičius. It had always been expected that Butkevičius would lead a broad center-left coalition with the support of the more populist Darbo Partija (DP, Labour Party), led by Russian-born Viktor Uspaskich, which won 19.95% of the first-round vote on October 14 to just 18.46% for the Social Democrats and 14.90% for outgoing prime minister Andrius Kubilius’s center-right Tėvynės sąjunga – Lietuvos krikščionys demokratai (TS-LKD, Homeland Union — Lithuanian Christian Democrats). That October 14 vote determined the 70 seats allocated to Lithuania’s parliament, the Seimas, by proportional representation. The remaining 71 seats were determined by single-member district votes, many of which were determined in the runoff votes held last Sunday, after which the Social Democrats emerged as the largest force, followed closely by Homeland Union with 33 seats and Labour with 29. Indeed, the Social Democrats, Labour and a third party — Tvarka ir teisingumas (TT, Order and Justice) — had agreed an electoral pact to form a government. 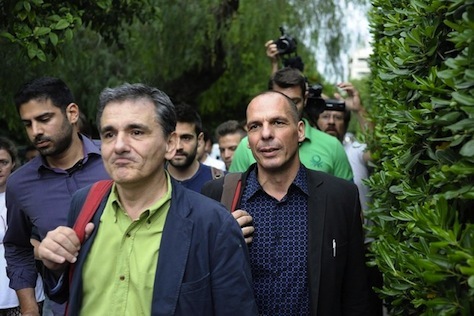 Together, the three parties would command an absolute majority of 79 seats. So the outcome seemed more or less a fait accompli. …Grybauskaite said she refused to back a coalition which included Labor, which stands accused of buying votes during the two rounds of voting. “A party which is suspected of gross violations in the election, which is suspected of false accounting and non-transparent activities cannot participate in the government’s formation,” the president told reporters. She said police were investigating 27 election irregularities, 18 of which concerned alleged vote buying, with the Labor Party accused of involvement in most of them. Grybauskaitė, a political independent, is a highly-respected former European Commission for Financial Programming and the Budget from 2004 to 2009. In the May 2009 presidential election, she became Lithuania’s first head of state by winning a whopping 69.1% victory, with her closest rival Butkevičius at 11.8% support.